“The San Rafael falls, the tallest #waterfall in Ecuador. 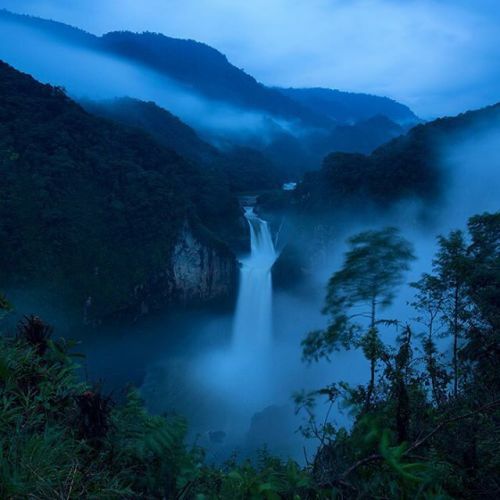 The Coca River vaults down the 480-foot waterfall and cascades through steep canyons toward the Amazon. But in recent years, nearly 1,000 #Chinese engineers and workers have been pouring concrete for a dam and a 15-mile underground tunnel that is part of a $2.2 billion hydroelectric plant project a few miles away. When the dam is complete, it will divert water to produce electricity, nearly drying up a 40-mile stretch of the river — including the falls — for several months of the year. According to the executive director of the Ecuadorian Rivers Institute, “it would be like leaving Niagara Falls without water.” This #nytweekender, we’re sharing photos from #Ecuador by @ivankphoto, a photographer based in Quito who worked on a story about China’s investments in Ecuador and elsewhere. #thechinafactor” By nytimes on Instagram.